Note: The first round of lyrics is call-and-response, and after that everyone sings together. Low voices sing one octave lower. 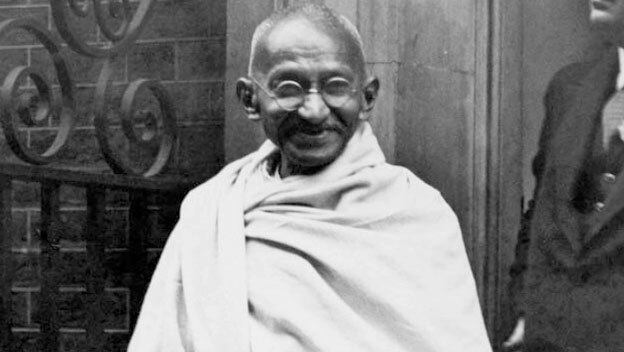 This was one of Gandhi's favorite songs because of its theme of unity and religious tolerance. The lyrics originally came from a Hindu scripture, but the song became an anthem of India's movement to liberate itself from Great Britain. It was sung by the thousands of Indians who marched for days during the famous Salt March, which was one of the most effective and massive acts of nonviolent civil disobedience in history.